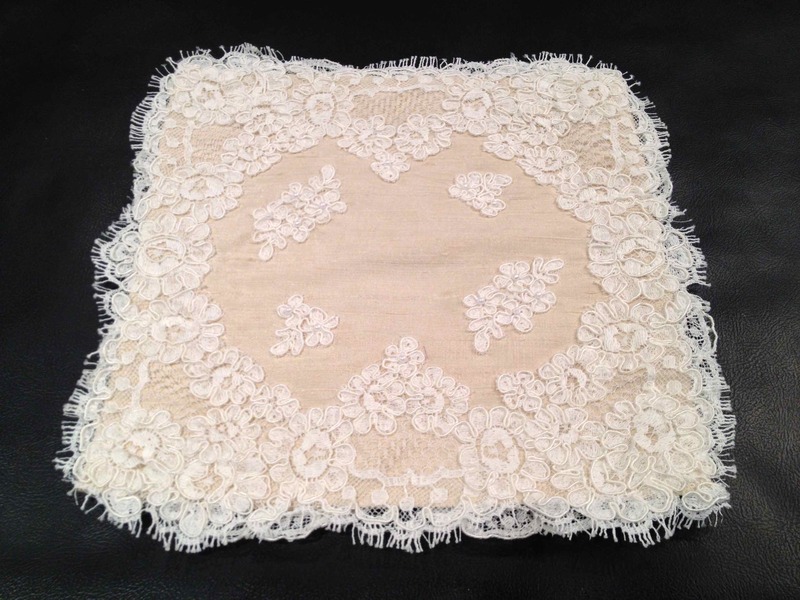 Here are a few things showing how I have used lace throughout the years. 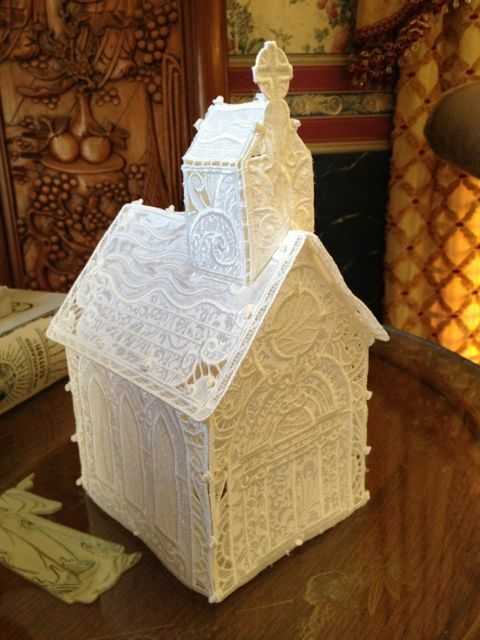 I wish I had pictures of everything I have ever made with lace, but then I guess I would have to fill volumes of books with pictures. I have made wedding gowns, prom dresses, baby clothes, little girl clothes, lingerie, purses, tablecloths, window treatments, bed skirts, bed spreads, dance costumes, theater costumes, Christmas tree decorations, and on, and on, and on, all with some type of lace. 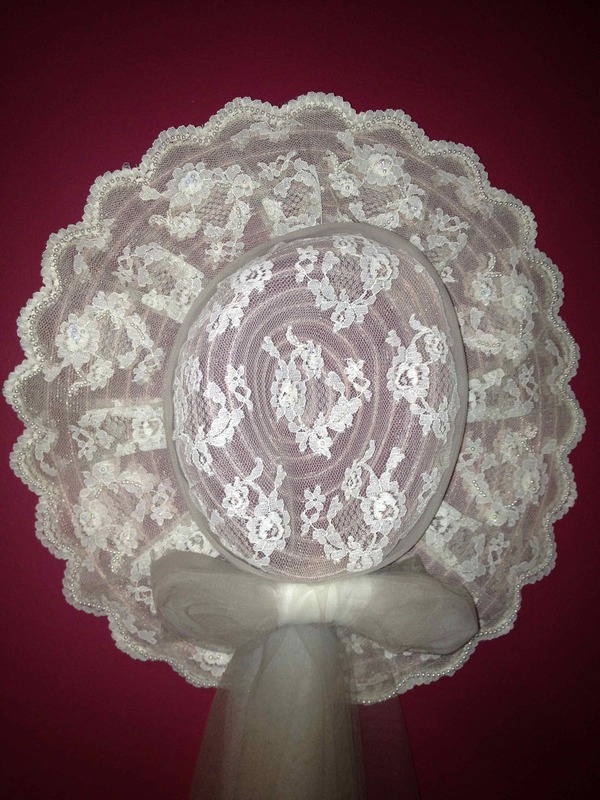 I bought a basic hat and covered it with Chantilly lace. Then I hand beaded it on the top and on the inside brim where the beaded lace would frame my face. 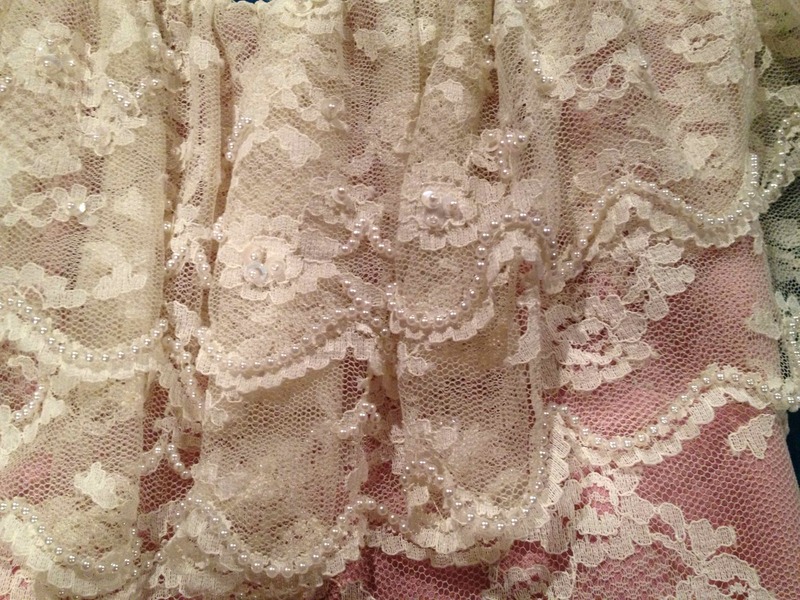 Simple hand beading on the Chantilly lace ruffle and hem of the dress. Another Example of simple beading added to Lace. 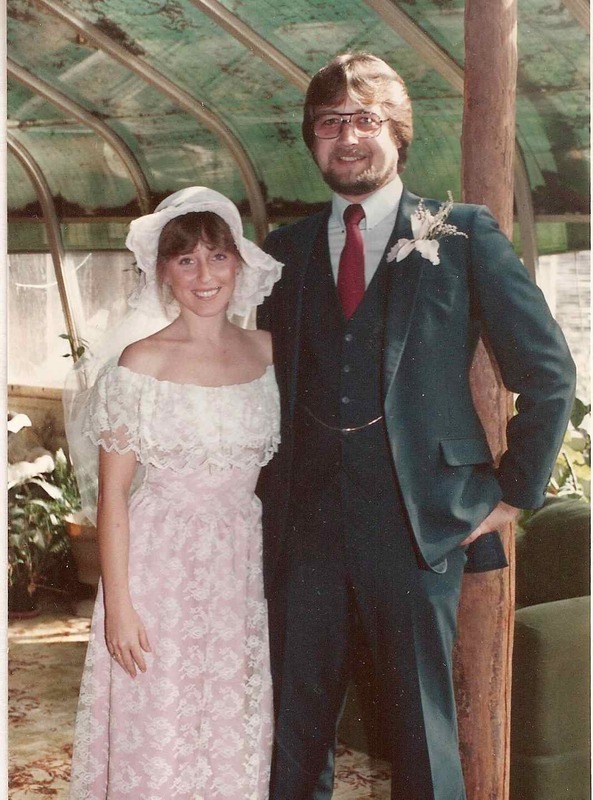 This dress is very old, so please excuse the tears in the neckline, I made it for my Jr. Prom in the 1970’s. I found an old wedding dress in a thrift store and used it as my inspiration. 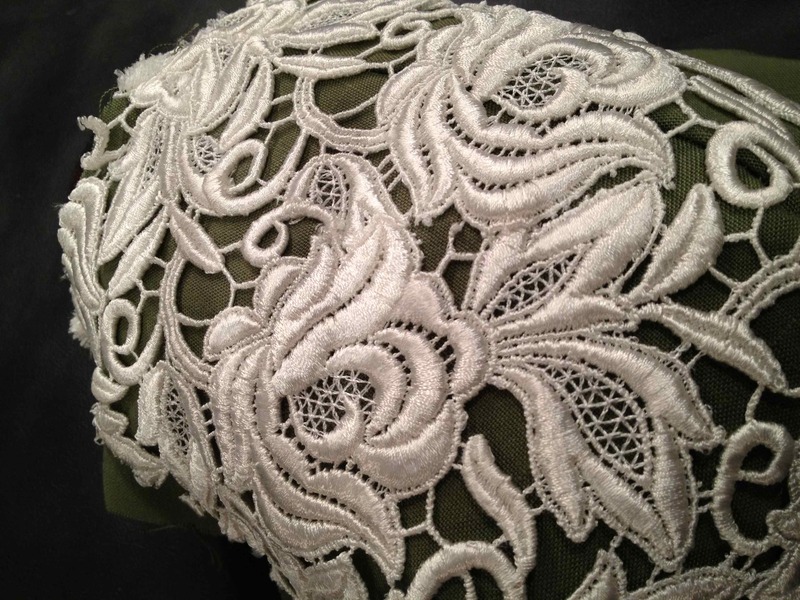 Alencon Lace can be used as bought or cut up and hand sewn as appliqués, trims or borders. Place it anywhere you want on your base fabric. 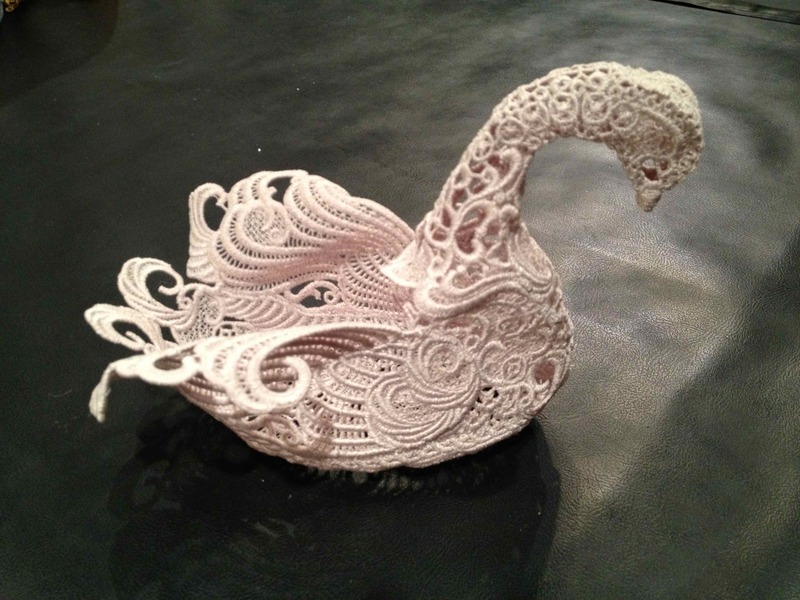 This piece of Guipure Lace is a little heavier. This is an example of how you can cut it, place it over seams and hand sew it in place to create a kind of zigsaw puzzle. You have to look very closely to see where it was cut and sewn together to create the curve of a bust. 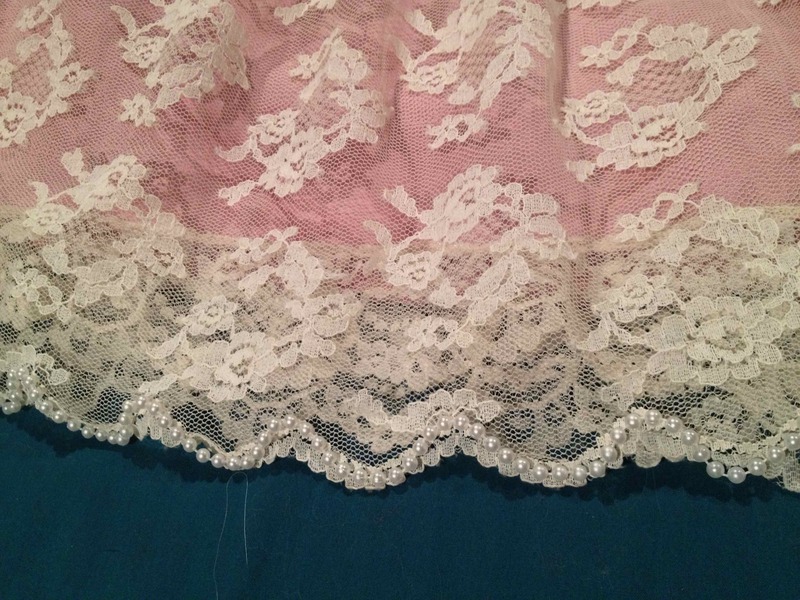 This heavier type of lace that has a lot of open space should also be randomly hand tacked to your fabric so that it doesn’t droop or get caught on things as you walk by. 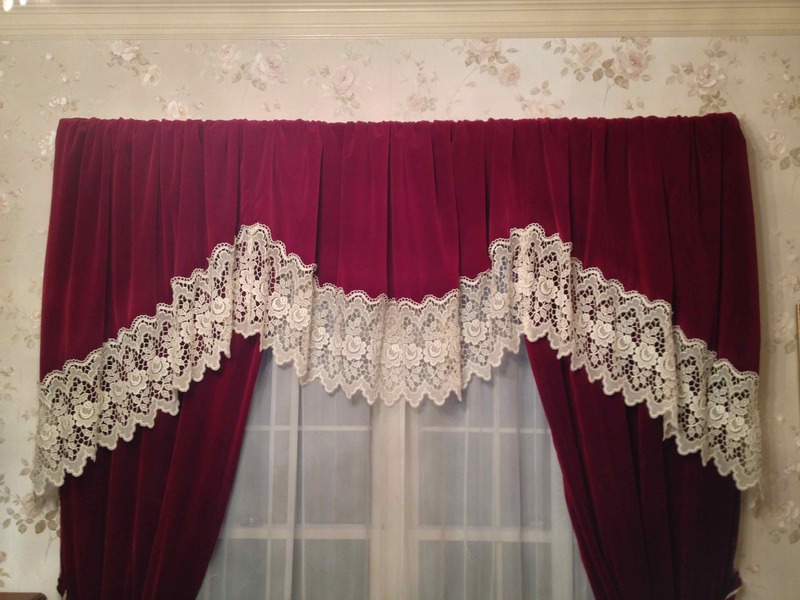 I used Venetian Lace and velvet in my dining room. I have several laces in my stash. 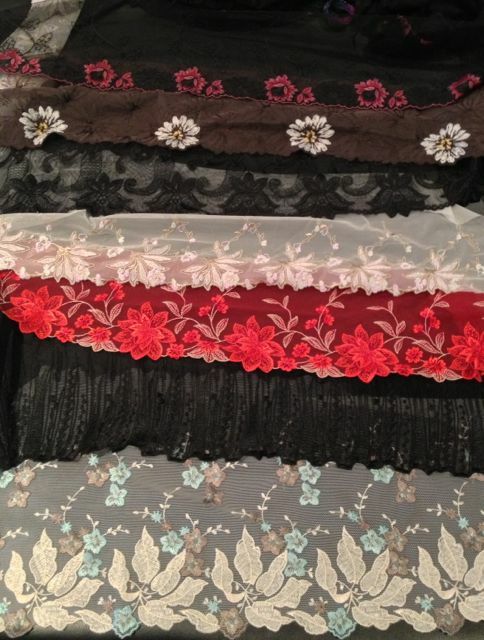 These are some of my lingerie laces I just purchased at the Original Sewing & Quilt Expo. 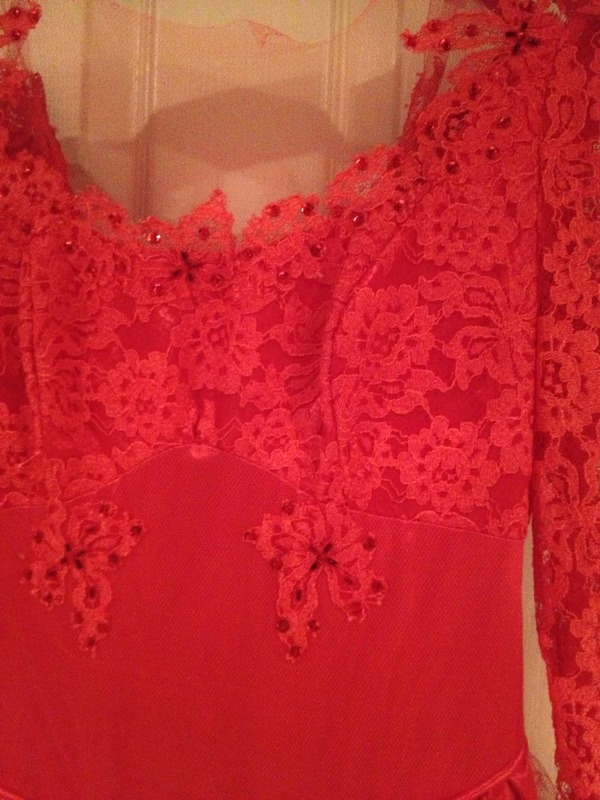 This Embellished Silk lace is Exquisite. My photography doesn’t do it justice at all, it is simply exquisite. With it being made from silk, it is very fluid and so soft to touch. My husband found this and bought it for me for Christmas. I can’t wait to figure out what to make with it. 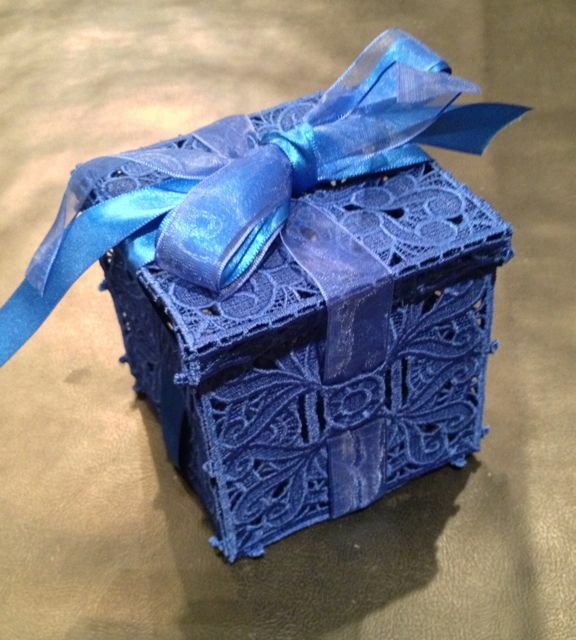 I love lace so much that I even have embroidery software that makes free standing lace into little decorative items. I have a friend that does AMAZING hand tatting, here is an example of it. Have fun pondering and let me know what you decide. This entry was posted in Article, Embellishements, Fabric, Fashion, Home Dec, Sewing and tagged Beadwork, Chantilly lace, Fashion, Free Standing Lace, Lace, Machine Embroidery, OESD, style, Sue Box Creations, Wedding dress. Bookmark the permalink. ← What Is Your Fabric Saying? I’m still learning from you, while I’m trying to achieve my goals. I certainly love reading everything that is written on your site.Keep the aarticles coming. I loved it! 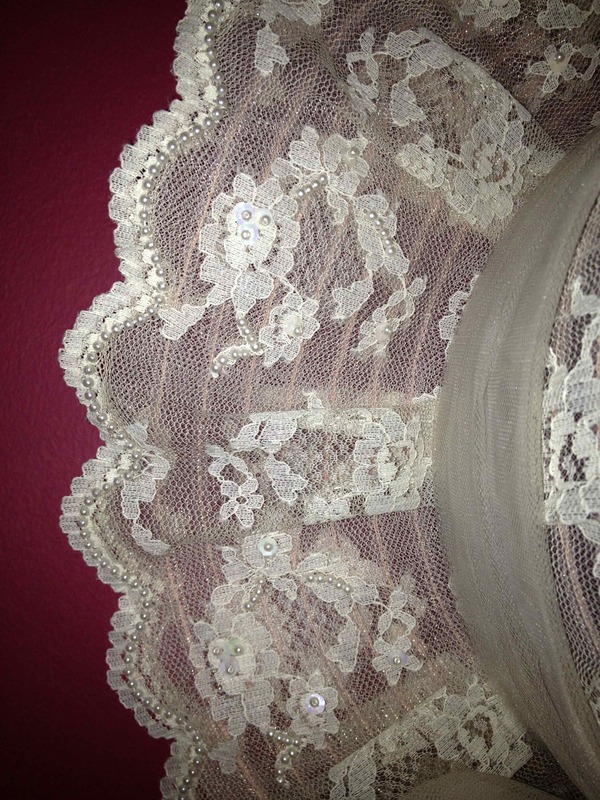 Beautiful lace work Martina, your lace, beaded wedding gown and hat was lovely. You’ve been a talented, cutie-pie your whole life. Love your creations thanks for sharing them. What a beautiful art Martina, and you and your husband look very cute and classic. 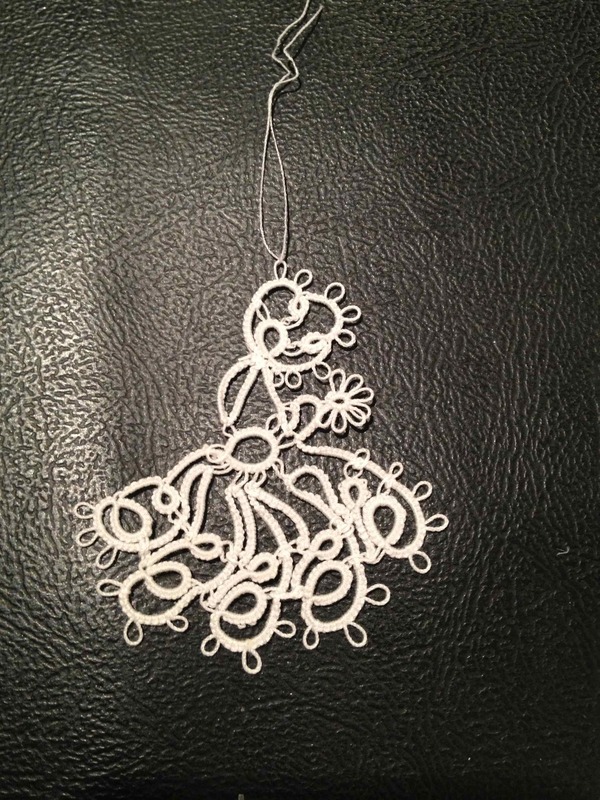 What a surprise seeing “the amazing tatting” made by your friend, thank you. Thank you Nancy, and your tatting is AMAZING! Gee, the first fabric that came to mind for me was corduroy (and I don’t think I even own any corduroy anymore)!! !